Our cleverly-designed AgileSHADE conceals a clever acoustic solution in a humble light fitting (can also be supplied without the light fitting). This design is the first of many new Shades to follow, watch this space. Handcrafted and constructed by our talented workshop team, each Shade is made with care, precision and pride. The eye-catching AgileSHADE can be used to great effect in a host of businesses. 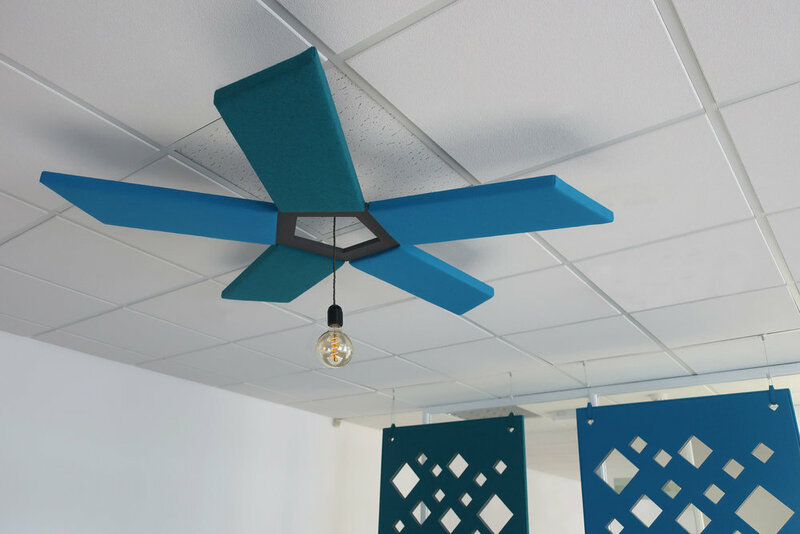 In offices to reception areas, restaurants and cafes, this product offers eye-catching yet practical results for anyone looking to brighten up their space while improving noise levels. Chat to our team about your AgileSHADE, which can be manufactured in a host of colours. We would also welcome bespoke designs or commissions. Get in touch to discuss how we can transform your spaces with the AgileSHADE.